Job hunting is hard enough without the additional challenges of age discrimination. While unemployment rates may be low for older workers, the outlook is significantly more grim for those looking for gainful employment: a report from the AARP indicates that the average duration of unemployment was a whopping 54.3 weeks for people over the age of 55 — compared with 28.2 weeks for their younger counterparts. So what’s a savvy 50-plus job-seeker to do? Let’s take a closer look at the best job hunting strategies for today’s older workers. Because the road to a new job may be longer, it pays to start searching right away as opposed to waiting until your unemployment runs out. While you may feel like you have a lot of time, you have a greater chance of finding a job that’s the right fit if you give yourself longer to look. Plus, it can help you avoid falling victim to a dangerous cycle: the longer the gap is on your resume, the more difficult it may be to be hired again. One of the tricks of undertaking a job search as an older worker is in highlighting your strengths in a resume without laying it on too thick or looking overqualified. The days of the one-size-fits-all resume are gone. 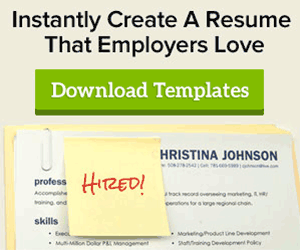 Take time to craft a targeted resume which highlights your most recent accomplishments, along with any new talents you’ve developed as they pertain to the job for which you’re applying. Many older job seekers have success with functional resumes, as opposed to chronological resumes. Social media has opened up a whole new world of networking opportunities. The benefits of age gives you a head start: you likely have plenty of professional connections to call on from throughout your career. Today’s employers are increasingly looking for a good “fit” for the company culture, and nothing speaks to this better than word-of-mouth from a current employee. But this only works if you let people know you are looking so don’t be afraid to put yourself out there. Face-to-face time is also important, and this is an area where you are likely to shine thanks to a lifetime of experience interacting with a diversity of people and relationship building. The 21st century workplace demands workers with 21st century skills. Technological abilities are at the top of the list. If your comfort level with computers is low, consider taking a class. This will not only build your skill set and confidence, but also demonstrates appealing initiative to potential employers. One simple way to make a positive impression? Create a LinkedIn profile and include a link to it on your resume. In an era where collaboration counts, this shows you’re able to communicate in the digital age. The last thing you want an employer to think is that you’re applying for a job because you have no other options. Make sure you are enthusiastic about why you are the right candidate for the job. 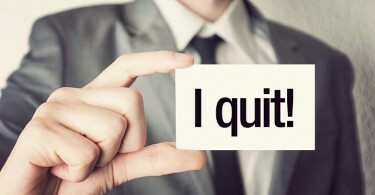 Just be careful not to come off as too qualified: a younger manager may feel like you’re out for his/her job. Also, avoid making reference to your age during the interview, or to the age of the person interviewing you to avoid creating an uncomfortable or awkward situation. 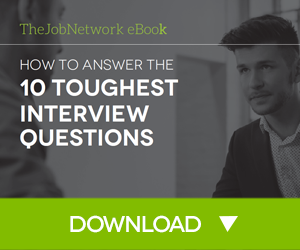 While you will face some obstacles as an older job seeker, they are not insurmountable, particularly if you apply these helpful tips and techniques. Perhaps the most important piece of advice for 50 and over job seekers? While age might not be an advantage on the job hunt, it certainly has its benefits. Use your experience to demonstrate a successful history of on-the-job problem-solving, critical thinking, and quantifiable results — many of which can only be achieved over time. Joanna Hughes writes on all things finance, business and human resources.